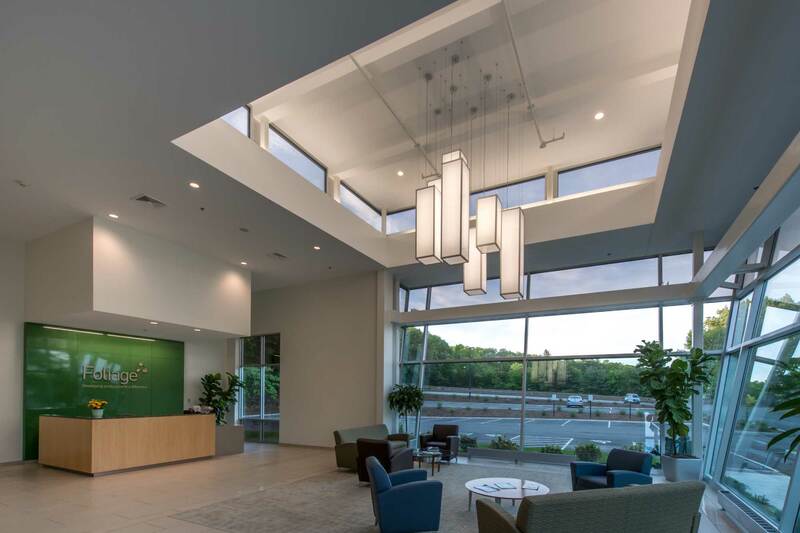 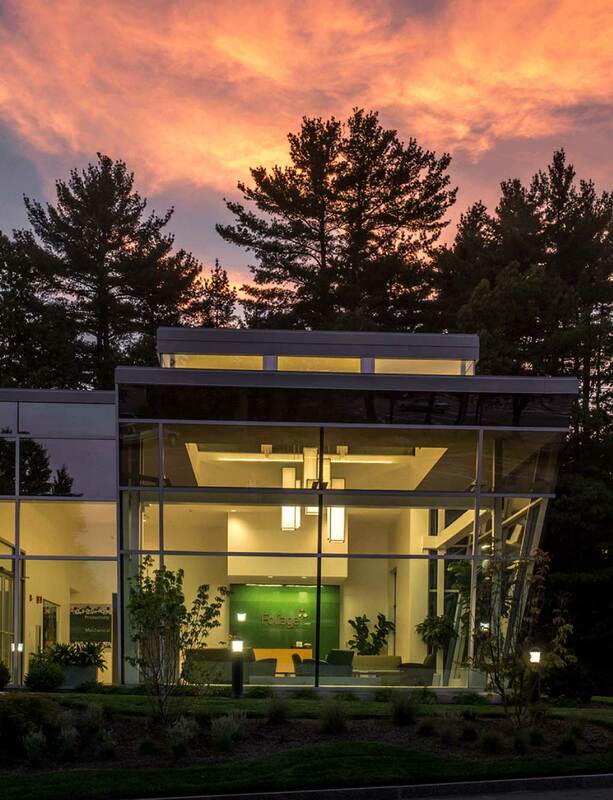 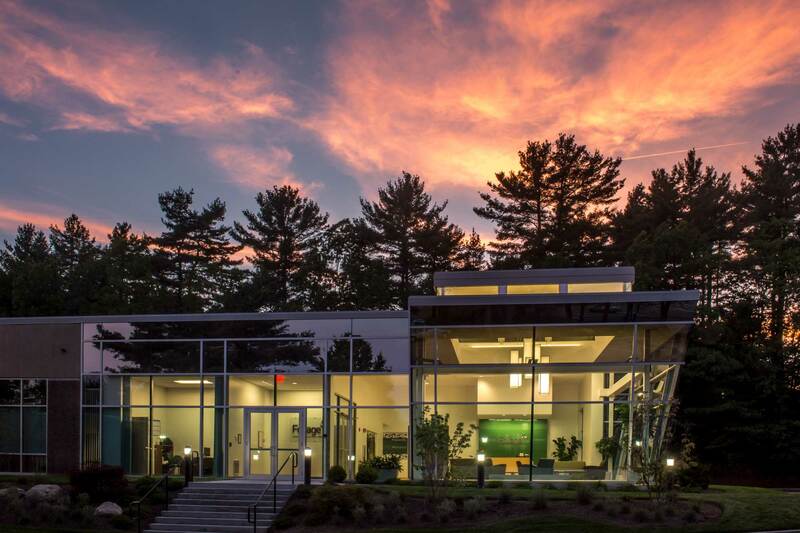 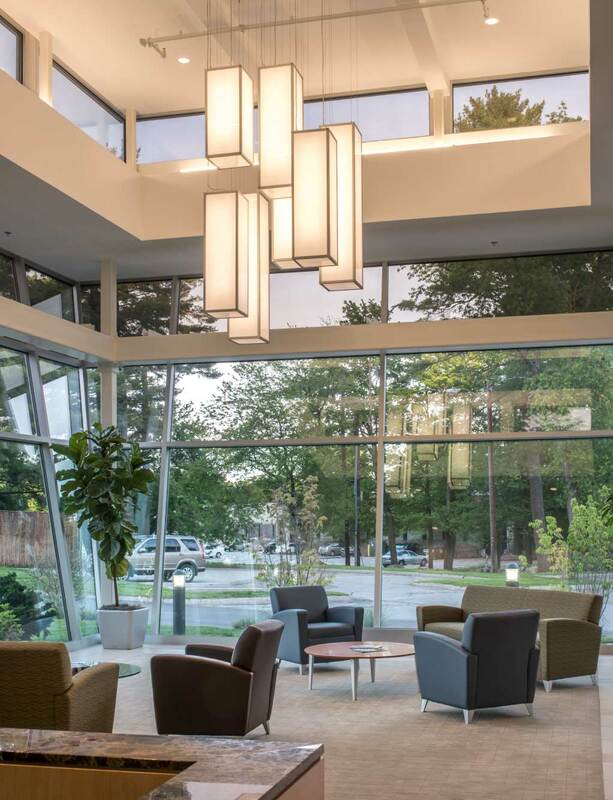 Twenty years ago Maugel Architects designed Foliage’s first office building in Northwest Park with its iconic arched entryway displaying the distinctive Foliage logo.In 2014, Foliage relocated within the park and expanded into 10 and 20 North Road. 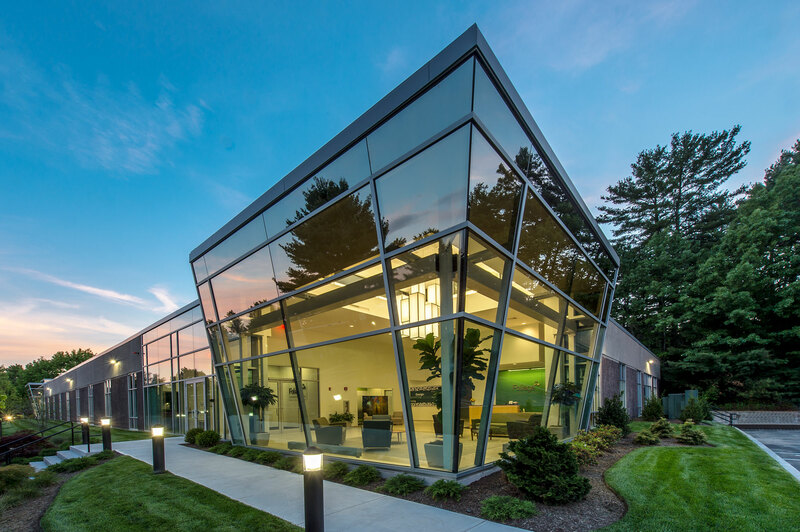 Maugel created a mini-campus by adding distinctive sloped-glass corners and entry ways to 20 North Road to match the design of 10 North Road. 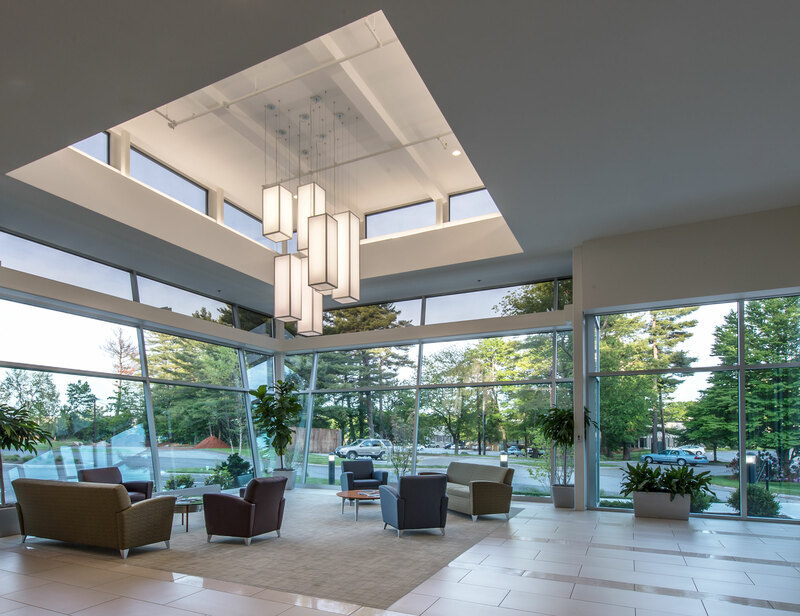 The facade now presents a vehicular and pedestrian gateway to the amenity spaces between the buildings and features a new 25’ high lobby with clerestory windows, creating an iconic form in its own right.